Are you finally ready to give in and embrace the coolest home automation ideas for your 21st-century household? Here’s everything you need to know when bringing smart tech to the different elements of your home on a budget. A concept that seemed too futuristic just a decade ago, has now become the lifeblood of automation on a personalized level. IoT (Internet of Things) is a system that is based on the ability of devices to “communicate with each other. The ability to transfer data and create actions automatically without human-to-computer interaction is at the very core of IoT. While the system was earlier restricted to industrial use due to the high-cost factor, a new era has changed everything. Today, we see smart technology powered by the concept of the Internet of Things in our homes across the world. What seemed like whims and fancies of millionaires a few years ago, has now become an affordable lifestyle choice for everyone. However, the prelude of home automation makes most people wonder how quickly it could burn a hole through your wallet. But the truth is that smart home devices are only getting cheaper, all thanks to the insanely high market demand. The biggest brands in the tech business such as Google, Amazon, Samsung, Microsoft and several others are onboard with IoT. Not only have these brands begun creating smart home devices, but more importantly, entire platforms to run them on. For instance, Google Cloud IoT is the backbone platform based on which you can use Google Home to control your entire smart home by simply uttering commands verbally and having them executed right away. Since China has been the epicenter of technology manufacturing for decades now, home automation ideas have created a billion-dollar industry in the region for affordable and reliable tech. From smart light bulbs and smart plugs to entire temperature monitoring systems for your home, the sky is the limit. More importantly, the convenience of home automation is surpassed by the actual long-term effects it has for money saving. From conserving electricity by automating the time when the lights are turned on and off, to set up the system for water control – home automation does end up saving you big money in the long term. But whether you’re doing it to make your home future-ready or just to make your life even more convenient, here are the best home automation ideas you can start working on right now, even on a tight budget. Even before IoT took over home security and surveillance, there has been plenty of interest in the market. 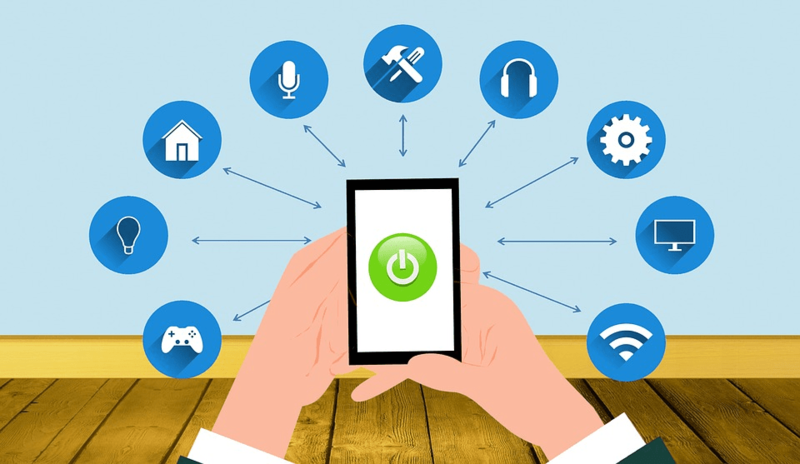 But since now mobile devices are interconnected with smart devices, it makes setting up security devices around the home cost-effective. The Nest Cam from Google and Amazon Cloud Cam may seem like the go-to options for wireless home security to many. 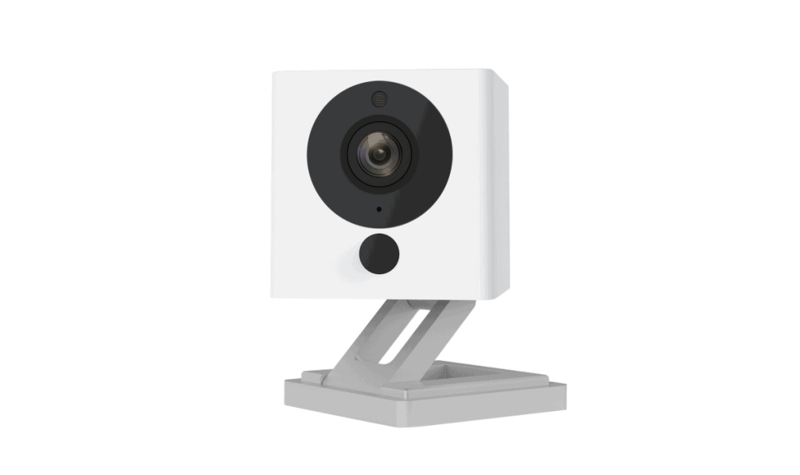 But the fact that Wyze Cam V2 performs just as well at a fraction of the cost makes it a far likely choice for most of you who are looking for home automation ideas on a budget. Offering the ability to connect with Google Home and Amazon Alexa over the cloud, you get cutting-edge 1080p Full-HD footage. Wyze Cam V2 features motion tagging, sound detection technology, night vision support and the ability to store footage. With two-way audio feature built into this smart security camera, it even comes with smart sound recognition. Back in the day, you could only afford a smart security alarm system if you had thousands of dollars to invest. 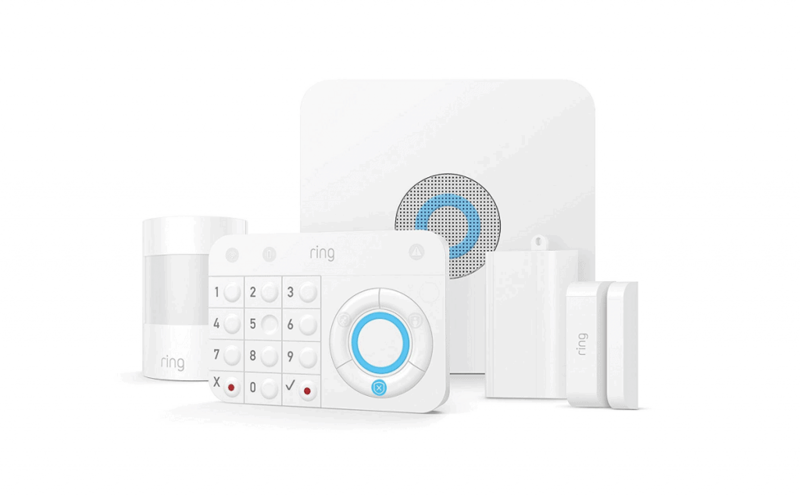 Now for just a couple of hundred bucks, you can implement the industrial-grade security system in your home with Ring Alarm. Available in 5-piece, 8-piece, and 14-piece sets bringing you all-around protection, you can start off contract-free or as just $10/month. To start things off, you get the Base Station to control all of the Ring branded smart home security accessories. The Contact Sensor for doors and windows, Motion Detector, Range Extender to make sure all of your devices are connected to the Base Station, and finally the Keypad to disarm and configure alarm systems in the home. Most HVAC systems that you will find in modern homes come with some form of a digital centralized hub. With the best home automation ideas for temperature control, you can replace these rudimentary thermostat hubs with something smarter. It may have started off as an innovative venture, but Nest became a household name in the smart homes industry when Google took over it. Their flagship product, the Nest Learning Thermostat is in its third generation and continues to make homes energy efficient. 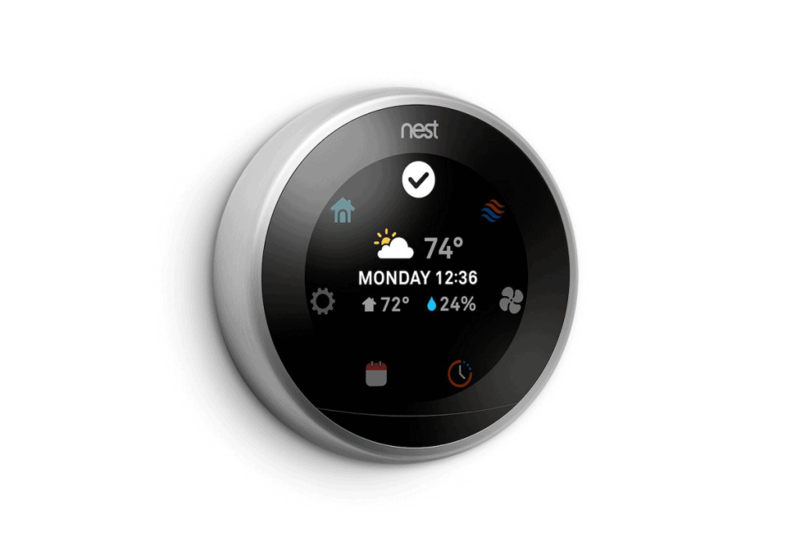 Offering a feature called Farsight, the Nest Thermostat offers you temperature, time, and even weather details on its circular display. Available in different color accents to go well with its surroundings, its what’s inside the contraption that makes it a winner. Built with Google IoT Cloud platform into it, the smart thermostat learns your surroundings, your temperature preferences and automates the process over time. While Google Nest may win the smart thermostat competition with its integrated software, ecobee Lite Smart doesn’t fall far behind. Offering similar features at a lower price point, what makes this smart thermostat a crowd pleaser is its ability to work with Room Sensors, which can be purchased separately and placed in different rooms. This allows the ecobee Lite Smart can recognize the temperature requirements of that specific room and cater accordingly. You get an easy installation guide and complete integration with Google Home and Amazon Alexa. 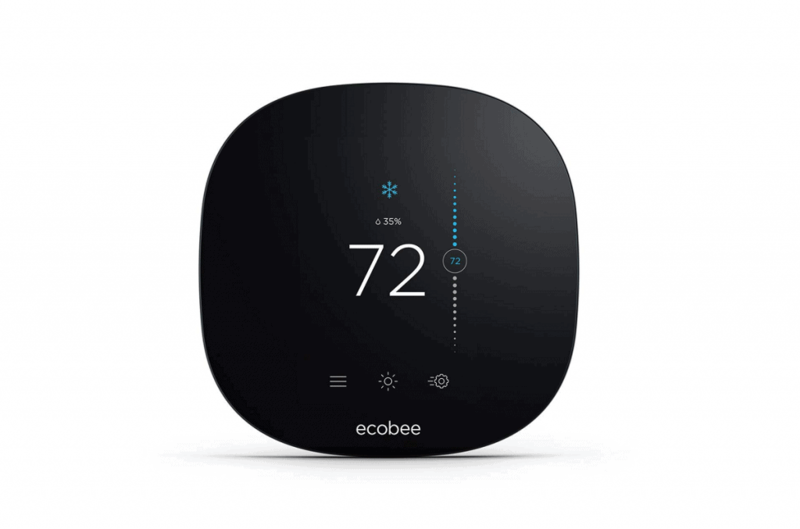 ecobee Lite Smart even comes with app support across all mobile devices for easy access to your home’s temperature settings. You may not find the need to change every single lighting fixture in your home to a smart light, but you’ll still need it. For the porch light that you want to turn on in the evening by itself, or the garage door switch that you want to remotely control, there’s a way to do all of it with these home automation ideas. A titan in the electrical and home equipment business, Philips has taken the Hue sub-brand to a whole new level. Their most basic product begins with the Hue Smart Bulbs Starter Kit that comes with 4 Bulbs offering 60W-equivalent lighting. 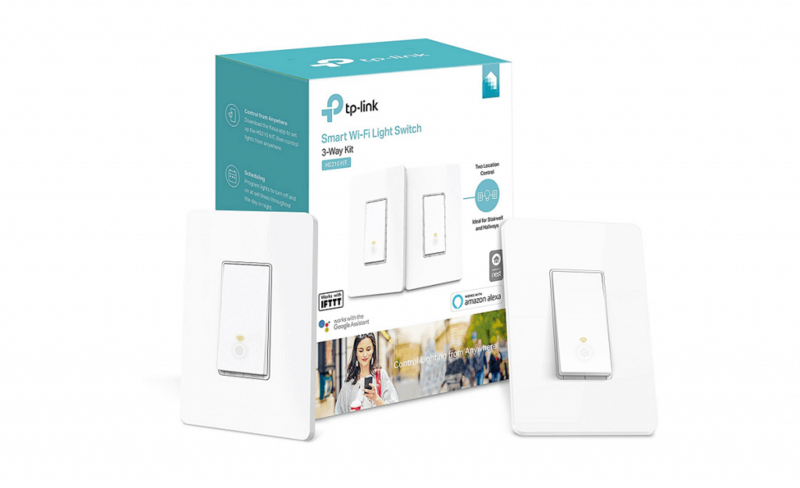 Additionally, the package includes a Bridge device which helps the smart bulbs connect to the internet. 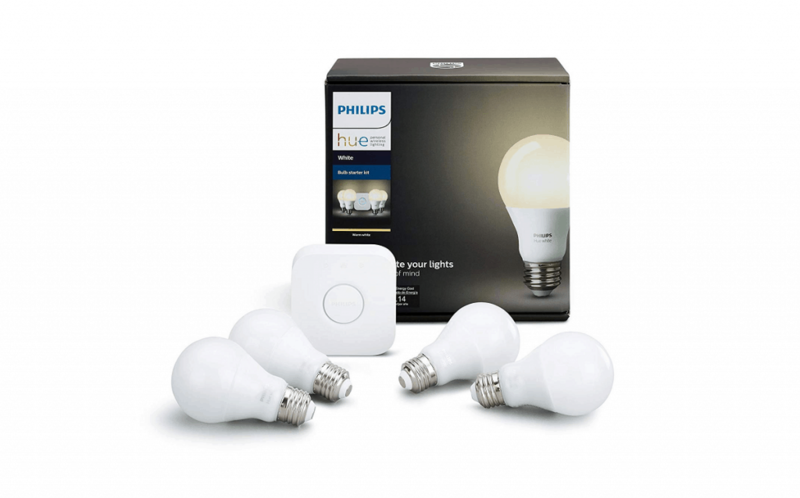 Compatible with other accessories and lighting equipment sold under the Philips Hue brand, you get special controls for dimming the light, setting up on/off timers, voice control through connected smart speakers, and even smart remote control through the Philips Hue app as well. You can either choose to get new lights for the house or swap out the old switches for smarter ones. With the Kasa Smart Wi-Fi Switch by TP-Link, you enjoy the ability to take control of the lighting from anywhere. Supporting voice control through Amazon Alexa and Google Home, Kasa Smart Wi-Fi Light Switch comes with aesthetics that blend in. Even if you don’t have a handyman electrician around to do the wiring for you, the Kasa app comes with a simplified DIY guide for you to follow. Thanks to the same Kasa app, you can take control of the light switch from anywhere at any time. Additionally, you can even set up timers for the switch to turn on or off automatically. Smart connected technology is taking over homes across the world and kitchens are not being spared either. From smart plates that measure your diet and create a health report, to your very own virtual chef that helps you cook easily, here are the best home automation ideas for your kitchen. Ever wanted to serve the finest steak right at the dinner table but simply can’t get that meat cooked right? You can now depend on the ChefSteps Joule Sous Vide to help you learn and conquer the art of cooking the finest sous vide and doing so with absolute perfection each and every time. The device offers complete integration with your smart speakers and a dedicated app that doubles up as a recipe guide. 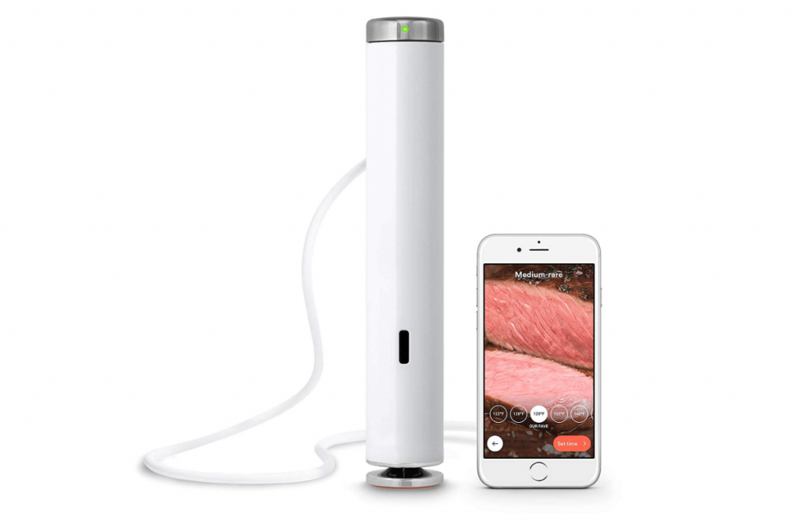 Certified for Wi-Fi and Bluetooth compatibility, the ChefSteps Joule Sous Vide comes with Visual Doneness feature for a wholesome experience. Cooking is nothing short of art, and since not all of us have mastered this art, the added help with the Instant Pot is always welcome. Offering a 6-Quart size capacity to cook hundreds of different types of foods, there are multiple temperatures and pressure sensors built into the device that allow you to monitor your food while it cooks and adjust the settings accordingly. Safety mechanisms are built in to ensure that there are no mishaps that occur while you’re away for work. 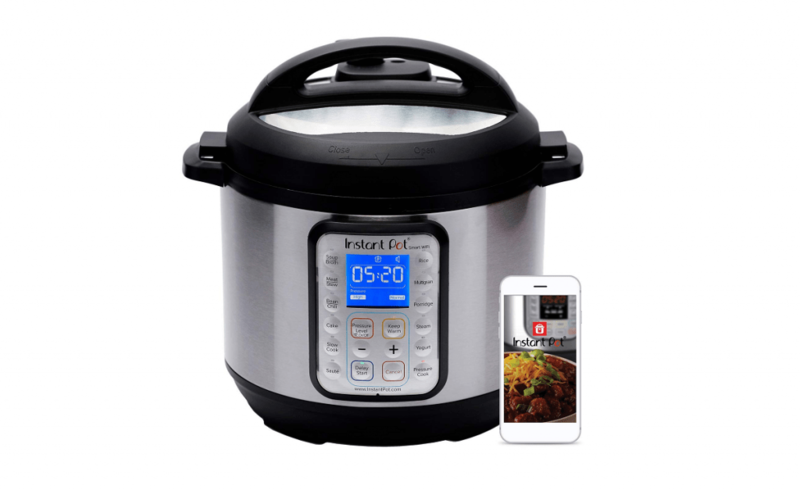 With more than 750+ different programs built into the companion app and remote control from anywhere at any time, cooking even the most complex yet scrumptious dishes is going to be a cakewalk with the Instant Pot Smart WiFi. In this day and age, affording a cleanup crew for the house can be quite the financial burden. Whether it is the lawn that needs sprinkling or the house that needs a vigorous vacuuming session, there is a smart tech to do it for you. Making home maintenance effective in long term, you can implement these home automation ideas to maintain your living space healthily. A wildly popular home appliance among urban users even before IoT devices were introduced, iRobot Roomba is a life-saver. 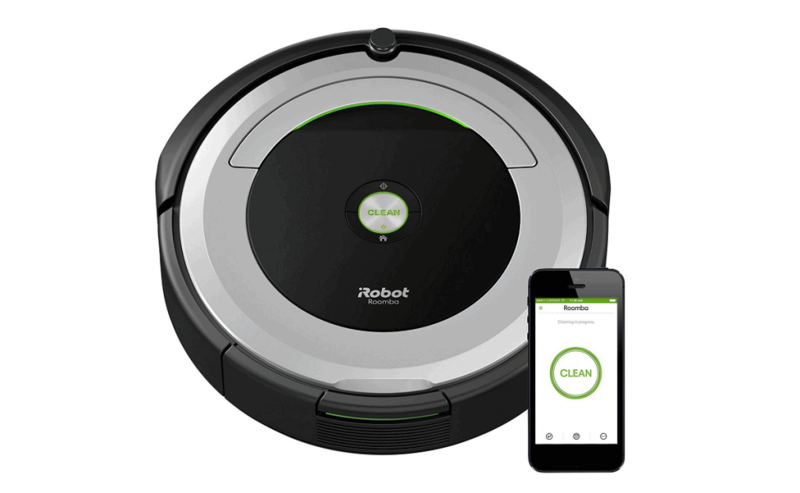 Built to be sleek, efficient and silent while operating, the device is capable of cleaning and shining up floors and even picking out debris and pet hair from the carpet. Operating autonomously, for the most part, Roomba works with a 3-stage cleaning system with two Multi-Surface brushes for added efficiency. Using the official Roomba app or simply commanding it with Google Home or Amazon Alexa, you can set your robotic vacuum on a 90-minute cleaning spree while you sit back sip your coffee. A thousand-dollar smart lawnmower may be out of your budget, but a smart is still among the home automation ideas that are within your reach. 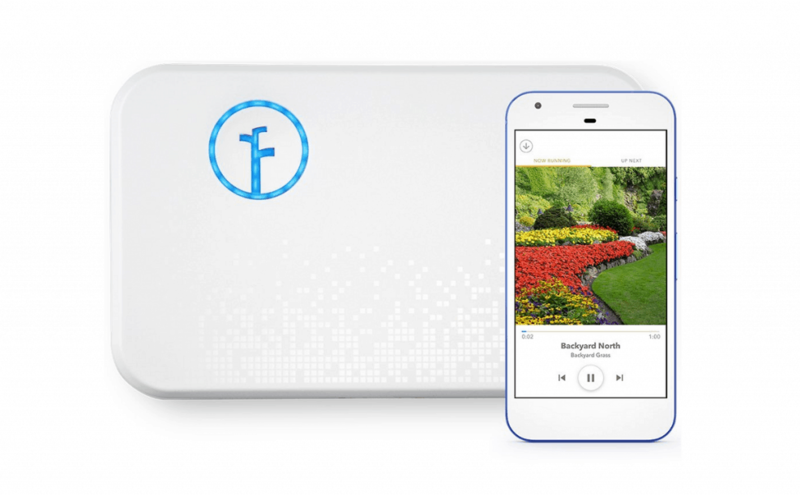 The Rachio Smart Sprinkler is the best in this category, offering you an automated and simplified solution to making sure that the grass is always greener on your side too. While the device gives you the ability to schedule the sprinkling period but also learns the weather conditions. By automatically skipping the water cycle during rainy and windy weather, the water preservation level of up to 50% is what truly makes this smart home device a sound investment. Home automation industry has taken over the United States, with every major manufacturer in the market rushing towards it. As the demand for more smart tech grows, the manufacturing costs will plummet and so will the overall prices of the final products. The smart home appliances which seemed unimaginably expensive just a few years ago are now available at pocket-friendly prices. The best part is that you don’t need to invest large sums of money to get started with these home automation ideas. You could take hold of your bedroom first and then move on to other areas of the household. Either way, one thing is for sure that smart homes are the future, and the future is here already. What are your thoughts on the smart home automation ideas we’ve mentioned above, and which ones will you be rushing to implement into your living space soon? Be sure to share your opinion in the comments section right down below.